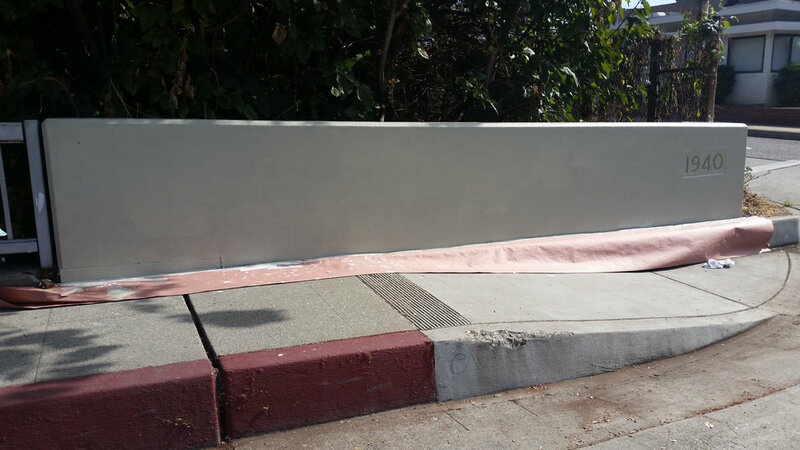 In 2015 SPB partnered with the City of South Pasadena to repair our city entrance sign on Fair Oaks Avenue. Old turf was removed and replaced with new water-wise landscaping. SPB and Boy Scout, Wolf Schermerhorn worked to design and build charming tree benches around trees on Diamond Avenue in 2015. South Pasadena Beautiful partnered with Moms For Community and Art/Work/Place to create a sculpture out of recycled materials in honor of the Special Olympics in the summer of 2015. SPB hosts monthly trash pick up walks throughout the City. SPB has funded the planting of over 400 trees in South Pasadena since 1965 and we hope to plant hundreds more. SPB supports the South Pasadena Nature Park. SPB replaced the plexiglas on the Nature Park sign and continues to donate and accept donations for the park on its behalf. In 2013 SPB funded a sidewalk made of pavers in front of the Arroyo Seco Nature Park to create a safe walking path where there was previously just dirt. In 2013 Boy Scout and SPHS student, Django Schermerhorn completed his Eagle Scout project with a grant from SPB. His group gave a facelift to the gazebo at Arroyo Park in South Pasadena. In 2001 SPB designed and installed a sign at the War Memorial Building. In 2013 after noticing the wooden sign was deteriorating, SPB replaced it with a long-lasting urethane sign. In 2011 SPB refurbished the wood benches and arbors at Garfield Park. 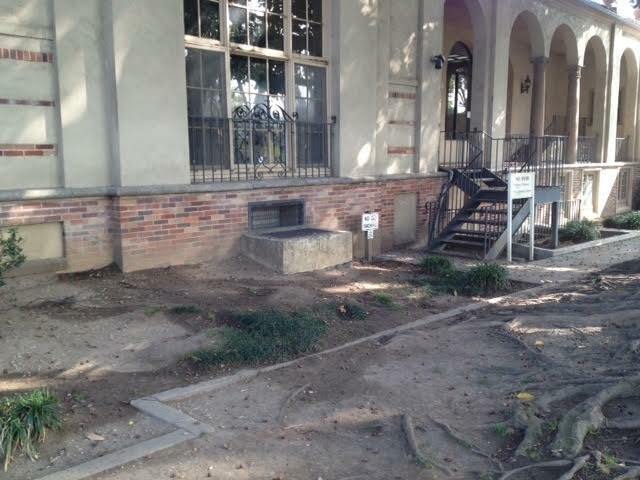 SPB created a small garden in the courtyard of City Hall in honor of SPB member, Irving Rector. SPB was a proud contributor to the Library Beautification Project. SPB stepped up and immediately replaced 8 gingko trees that were vandalized on Mission St. in November 2013. SPB re-landscaped over 6000 sq. ft. of medians on Orange Grove Avenue between Columbia and Grevalia Streets. The landscape was designed by SPB board member Anita Williams and offers a beautiful array of colors and textures using drought-tolerant plants. The landscape was installed in March 2016 with the help of TruGreen Landscape Contractors. Last fall we set our sights on a blighted wall at the tennis courts of Orange Grove Park. SPB teamed up with the City Public Works department and the South Pasadena Arts Council to transform the spot into something visually cheerful and charming. Public Works replaced the old wall and SPARC member and local artist, Kelly Conte, led a group of SPHS student artists to create and paint the mural. The mural depicts three swimmers at the "Plunge", the old South Pasadena swimming pool which was located at the site of the tennis courts many years ago. Once the painting is completed the surface will be covered in an anti-graffiti protective sealant. Many thanks to all to helped make this project successful. On February 20th and 21st SPB members worked cleaning up the trail along the Arroyo Seco and the "City of South Pasadena" hillside rock sign adjacent to the 110 freeway. Volunteers cleared out dead brush, weeds and of course lots of trash. After weeding the hillside, California poppy seeds were scattered and hopefully we will be rewarded with a hillside of orange blooms after the coming rains. The trail is used by runners, horseback riders, and dog walkers. The clean up makes the area look safer and friendlier for more people to use. More work will be tackled in the coming months. Contact us via our contact page on this site to find sign up for our next clean up.